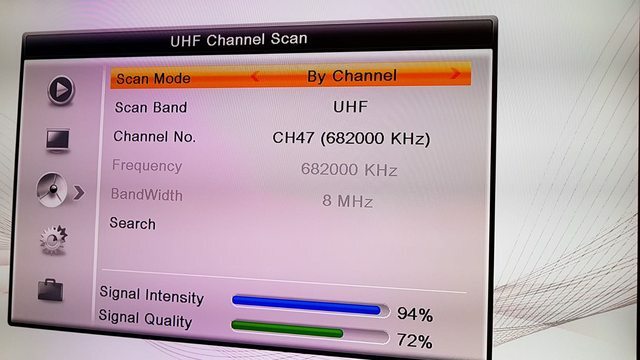 If you do full scan should be able to get Malaysia channels. If not, do manual scan and specify channel 47. Last edited by mrclubbie; 23-06-2018 at 01:46 PM..
That's weird, by right the MATV should be able to receive. Last edited by mrclubbie; 23-06-2018 at 01:49 PM.. I believe we have enough interest to put all the info here. But whether you can receive will depend greatly on your location. So if you don't get it, you know it's your home, not your TV. Attempted to receive MY channels from MATV socket, no avail. Next, tried to use rabbit ear antenna, no avail. I have not tried out the antenna included in the starter kit. Last edited by mrclubbie; 25-06-2018 at 03:40 PM.. So do we need 2 change the qam when scanning for my channels? Nope. Set-top box will auto change if it can detect the signal. 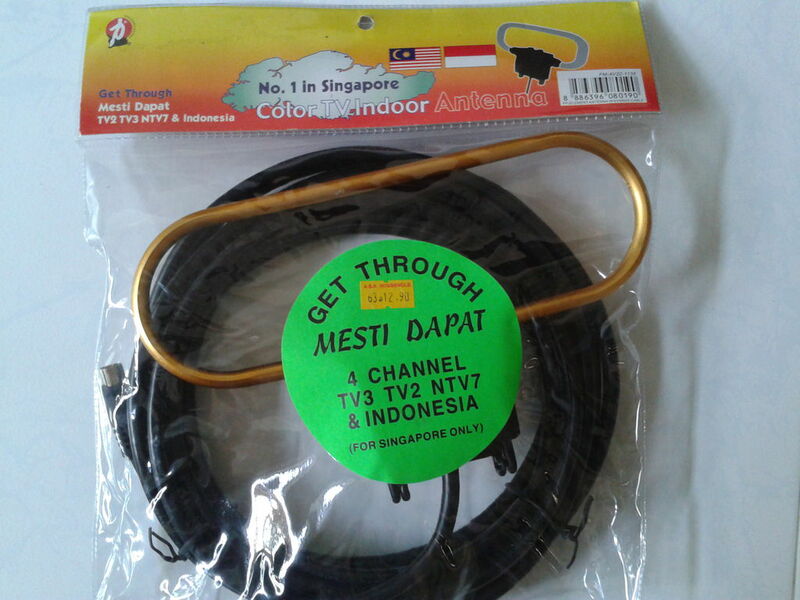 Most people cannot receive Malaysia ch 47 due to interference from Batam's SCTV which is also on ch47. Managed to get my dtv using this antenna coupled wif a usb amp on LG c7. Antenna needs 2 hang out of windows  High floor city fringe. Honestly kinda disappointing coz only 2HD the rest still SD. Not really worth the effort unless looking for WC. I suppose Indonesian channels can also be received too ? Can get some indo analog channels but some too fuzzy can’t really see. do they haf digital channels yet? Wat channels/freq? Indon channel 48 n 52 for digital channels. R they in HD or SD? Important note: As long as has usb power boost+putting at window can receive the signal from malaysia. Once left window all signal lost except singapore local channels.